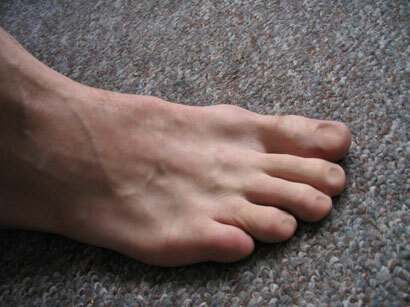 dreamt I had lots of toes. First, all my toe nails were gone. Completely gone. Just some soft dents at the end of my toes. "So that's under there," I thought. Then I saw some nails coming through. Not at the end, but at the place where my toes bend. And I thought "That's strange. Very strange." 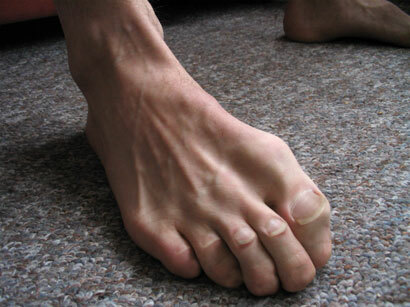 It got even stranger: a whole new set of toes started growing out. And my old nails started to grow back. "This isn't quite it." It didn't stop there. A third set of toes appeared. Some stopped growing halfway and others grew together. With a lot of fuss I managed to put on my socks. Staring at my think feet, it dawned on me: "This is bad. My shoes won't fit. I should perhaps do something about this." The first thing I did when I woke up was count my toes. Five on each foot. Ten total. Is that normal? That's normal. Thank god. Looks like it's time to clip my toe nails.